Have you ever had a client come for a Pilates session with a particular complaint and, no matter what approach you tried, it didn’t work or it got worse? In which case, your client may have felt discouraged and wondered what to do next. Perhaps, you have felt you sometimes needed assistance identifying a problem so you can confidently reassure your client. Many of you may already have a trusted referral list of manual therapists (Registered Massage Therapists, Osteopaths, etc.) and are able to clearly explain to your client what type of therapy they may need and why. Before offering a referral, check to see if your client has his or her own manual therapists. You should be prepared to answer questions concerning the benefit of manual therapy. Having an understanding of what different manual therapists do and how they can complement movement therapy is important. Use this as an opportunity to educate yourself and your clients on how manual therapy can serve as an important adjunct to movement therapy (Pilates, Yoga, movement-based Physiotherapy, etc.) while being sensitive to your client’s concerns and beliefs regarding various manual therapies. Regulated manual therapists are well trained to assess and identify musculoskeletal and nervous system disorders. How do manual therapy and movement therapy work together? The first thing to consider is how can these two therapies can be beneficial when combined. Movement therapy is active and decompresses, mobilizes and stabilizes joints, and lengthens and strengthens soft tissue. Movement therapists can help clients improve balance and body awareness via proprioceptive feedback. Manual therapy facilitates decompression and mobilization of joints. It also lengthens and releases contracted and adhered soft tissue, as well as improves body awareness. When is it helpful to use manual vs movement therapy? Although manual therapy is often considered a passive form of therapy, it may be necessary when movement therapy exacerbates pain or when a client is afraid to actively initiate movement. In my experience as a manual and movement therapist, I generally find that thoracic spines respond better when actively mobilized while upper cervical spines respond better with manual therapy. For example, combining breathing with active thoracic spine mobilization can facilitate better articulation of thoracic joints while stabilizing the pelvis. On the other hand, necks can be more complicated to deal with because of various head and neck postures, as well as other factors such as jaw tension, osteoarthritis, headache pain, or injuries such as whiplash. By assessing and feeling the tissue and joints, I can better assess a client’s problem and determine what movement therapy is needed. As a manual and movement therapist, I find that chronic joint and soft tissue problems may respond better by combining both therapies for some of the reasons mentioned above. However, with acute issues, movement therapy can exacerbate the pain, especially when the source of the problem is not well understood or when the client feels vulnerable to the potential of more pain. In acute cases, clients often take shallow breaths to avoid pain so manual therapy combined with breathing can help calm the nervous system and allow for movement therapy. In my experience as a manual and movement therapist, combining the two therapies can help clients to gain greater mobility, flexibility, strength, and provide more lasting pain relief. 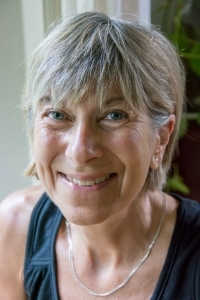 Cate Hachigian: During many years of practice as a massage therapist, I have promoted body awareness and exercise as essential to a person’s well being. Taking my experience to a new level, I completed Pilates Mat and Reformer certifications, as well as movement and exercise specializations in biomechanics, rehabilitation and older adults at Body Harmonics. As a Pilates teacher my goal is to increase ease of movement in every day function, improve posture and balance, enhance performance in sport specific activities, and rehabilitate injuries while having some fun. From personal experience I know it works. It helps me maintain an active recreational lifestyle. Book sessions with Cate at the Ottawa Collaborative Care Centres!